For me the past years in Provence have been spent meeting fascinating people, discovering mind blowing sites and meeting more people. All this interspersed with flying balloons, a lot, and more recently creating my travel company. 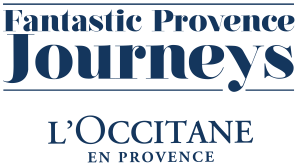 When I started the adventure of Kairos travel and it's luxury portal Unique Provence I was approached by the international cosmetic company L'Occitane en Provence. They had recently started a blog type website called Fantastic Provence which was dedicated to showcasing the best of Provence in correspondence with the spirit of L'Occitane. Subjects go from food, hotels, fashion to interviews and travel ideas. They were looking for an agency who could create tours that ticked all the boxes in their vision of Provence and it seemed that I did just that. 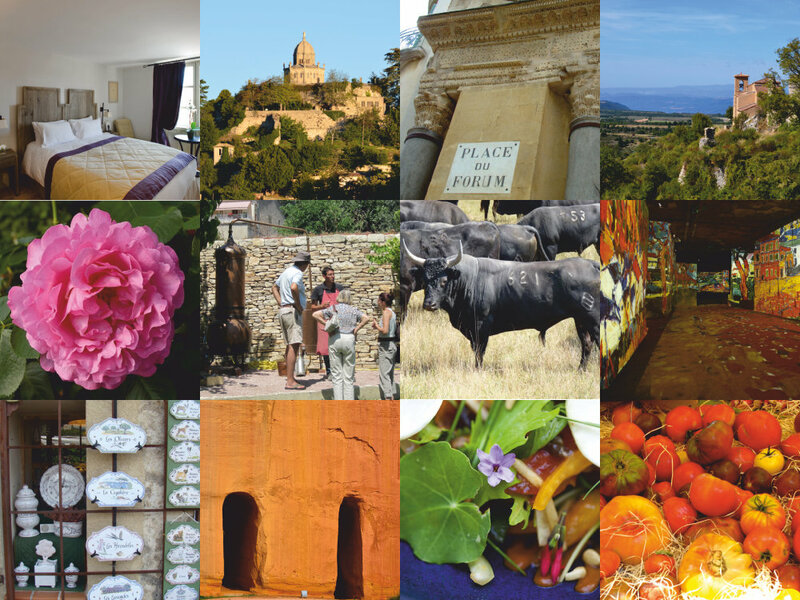 After a year meeting farmers, chefs, hotel managers and many more besides I can now present the tours that in my mind embody the spirit of L'Occitane en Provence. 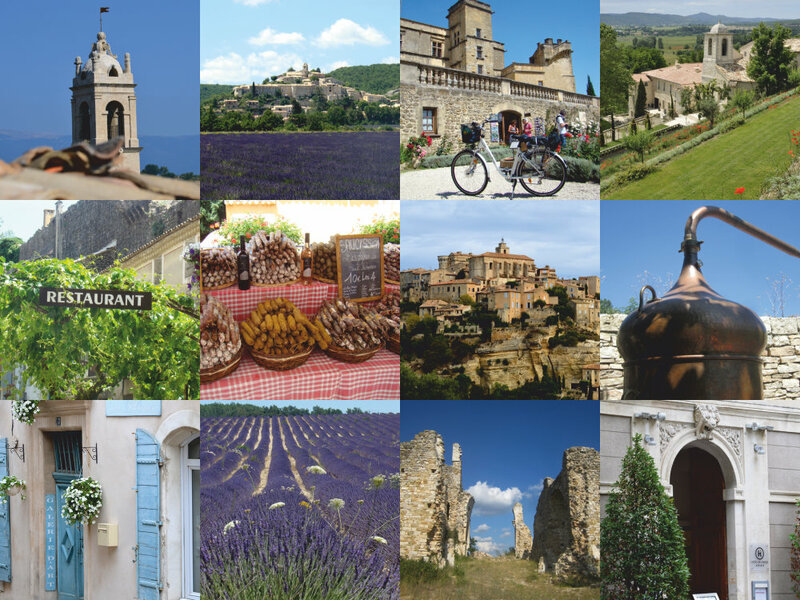 On our catalogue this year there are four tours of which two are labelled L'Occitane en Provence Fantastic Journeys. The first is a tour taking place at the end of springtime, when the perfume rose harvest is under way. Thanks to the implication of L'Occitane we are able to visit these otherwise secret gardens, where visits from the general public would disrupt the day to day routines. In fact we won't just visit them, as spectators, but guests will be given gloves, secateurs and the straw hat of course and will be able to pick their own roses. This harvest will be kept for later, as we will make our own perfume rose water using a magnificent copper Alembic Still. Keeping with the rose theme the guests will also have the chance to create their very own bespoke perfume with a master perfumer. Like every trip to France, food plays a great part of our journey. These are luxury tours with 4* and 5* accommodation, and so Michelin starred restaurants are on the agenda of course, but also a rustic feast in a farm, a buffet of local fare and a picnic with produce bought that very day from the colourful Provençal market of Forcalquier, not forgetting an olive oil tasting. The tour continues stopping at Abbeys and Ochre mines towards Arles, town where the Romans and Vincent Van Gogh as well as many others have left an indelible mark. From here we will visit the Camargue where our own French cowboys, Les Manadiers along with Camargue horses, bulls and pink flamingos all go to paint a vibrant picture of this fascinating land. Les Baux de Provence, one of the most beautiful villages in France is on the agenda as well and the privatisation of the Carrières de Lumières will be the bouquet finale! Our second Fantastic Journey is during the Lavender season. This iconic flower is probably the most used image when promoting Provence, though its flowering season is very short. I have chosen to do only three weeks of this tour to ensure that each has the best possible conditions to admire the fields of lavender at their best. During this tour we will pick and distil our own wild lavender, and the exclusivity brought to us by L'Occitane is the access to their laboratories to create your own L'Occitane en Provence product, maybe using the essential lavender oil you distilled! Our journey will take us across the Plateau d'Albion where lavender occupies most of the landscape, and the Mont Ventoux provides a dramatic backdrop. The second part of this tour takes us through the Luberon to St Remy de Provence, birthplace of Nostradamus and town where Vincent Van Gogh (him again!) spent time interned in the asylum at his own request. We will discover some of the jewels of Provence with the towns of Gordes, Bonnieux, Lacoste, Menerbes and Oppede le Vieux to name but a few. Guests will enjoy a relatively effortless cycle ride using electrically assisted bikes, as well as an aperitif at the Château des Baux de Provence where we have privatised an area just for ourselves. As with all the tours, lavish meals, picnics and buffets will intersperse your voyage of discovery. Both tours include 1 hours treatments in the L'Occitane en Provence's Spa, nearly all meals and accompanying wine and we guarantee that there are no "budget" menus. Accomodation is in the 5* hotel, Le Couvent des Minimes for the first part of each tour, and then the 4* Hotel Nord Pinus in the centre of Arles for the Springtime tour and the 4* Hotel de L'Image in the centre of St Remy de Provence for the Lavnder and Luberon Tour. There is plenty of free time for gusts to be on their own, for shopping and relaxing and as these are Small Group Tours there will never be more than 14 participants accompanied by 2 guides in two 9 seater minibuses. Being very seasonal each tour only runs for three weeks, but if you miss the opportunity this year we also have our Unique Provence Experience in May and September for a gastronomic extravaganza from Aix en Provence to Avignon. We are offering a free room upgrade or a 10% discount on selected tours booked before the 31st December 2012.